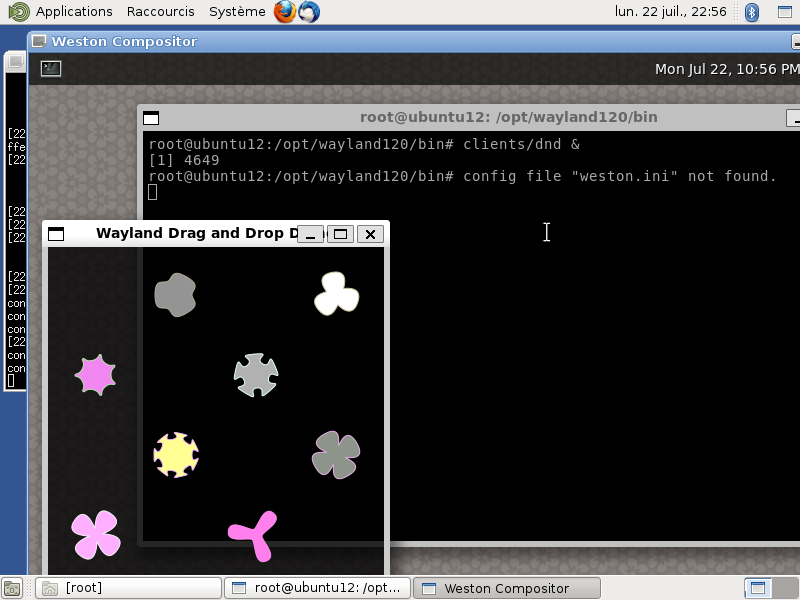 Wayland/Weston 1.2.0 for Debian 7.0 "Wheezy"/Ubuntu 12.04 "Precise"
I regulary work under Debian Stable or Ubuntu LTS, but recently needed to do some tests using the new Wayland display system for GNU/Linux. Knowing that Wayland only went "stable" recently with its 1.2.0 release, I worked hard to compile this new version under stable distros... not so easy, but finally done. The next step will be to build recent GTK+ and Qt toolkit releases, which now have Wayland support. Exciting ! PS1 : I run Weston -slowly- under X11 because I work with virtual machines. If you have recent Intel/AMD hardware and corresponding Gallium drivers, you could very well shut down X11 and run weston directly (using the kernel DRI layer). PS2 : these packages may work on more recent distros ; any feedback appreciated ! Does thsi run on ubuntu virtual machine running on windows 7? Of course ! In fact, the screenshot was taken on such a VM :-). It's just significantly slower than with real hardware. I suggest max. 800x600 and waiting until the pointer moves smoothly. Will this work on Jessie?